One aspect of primary sources that I enjoy is the perspective that the creator of the item brings to the source. Some formats of primary sources lend themselves to pointing out perspective. A letter or diary entry can easily reveal the thoughts of the person who wrote it. Other formats, such as photographs, may not as easily reveal perspectives. Pairing primary sources with a picture book about the event or individual who created the sources can give students an opportunity to explore not only what perspective is shared through the primary sources, but also why the person who created the sources shared the perspective. 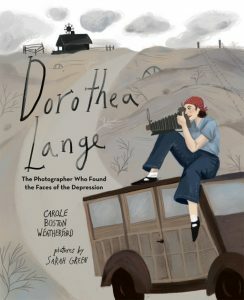 The picture book Dorothea Lange: The Photographer Who Found the Faces of the Depression by Carole Boston Weatherford and accompanying photos by Ms. Lange can be a strong pairing to demonstrate perspective. Begin with the photograph, Migrant Mother, taken by Lange in 1936 at a migrant labor camp in Nipomo, California, telling students they will be looking at a photo of Florence Owens Thompson, a migrant, taken in 1936 in California. To investigate the question, “What perspective is the photographer trying to share through her photograph?” begin by asking students what they see. Students may point out the woman, children, or more specific details. Follow up by exploring how students react to the photo. Ask, “What is the photographer trying to show her audience in this photograph?” Students may respond with ideas like “poverty,” “sadness,” or “determination.” Connect these types of responses back to the image by asking students what details they see in the photo that make them think this. This should elicit additional observations such as frayed clothing or her furrowed brow. Finally, ask, “If certain details are bringing specific feelings about the migrant worker in the photo, what could the photographer’s perspective be about migrant workers?” As students share ideas, point out their connections between observable aspects of the image and their ideas about Lange’s perspective. Share with students that Dorothea Lange’s perspective about migrant workers can’t be determined by looking at only one of her photographs. Instead, they should examine several photographs and look for patterns. Share one or more photographs of migrant families or drought refugees from this set of sources, also taken in California in 1936 by Dorothea Lange. Follow the same process of beginning with observations to support ideas about Lange’s perspective. 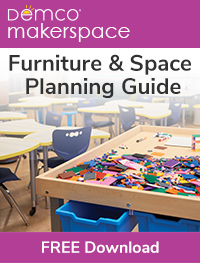 Depending on their comfort with the process, students can work in small groups or as a whole class. After analyzing multiple sources, search for patterns. What observations, viewer feelings, and photographer perspective are repeated across multiple photos? Where do we see patterns in Lange’s photos? What does this tell us about Dorothea Lange’s perspective on migrant workers? Once students have an idea of Dorothea Lange’s perspective, explore why she may have that outlook by reading Carole Boston Weatherford’s book. In it, she writes of Dorothea’s struggles, having a limp from a childhood bout with polio, being teased, and trying to hide her limp. Weatherford begins to connect experiences walking past “vagabonds” when younger with walking among demonstrators later in life. Discuss what experiences in Dorothea’s life connect to the perspectives students discovered in the photographs. Ask students: What words show these perspectives? How does the illustrator’s work capture them? Take the discussion one step further by considering what the author’s and illustrator’s perspectives are about Lange. Perspective can be a powerful consideration when exploring primary sources. 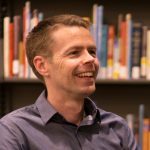 Exploring those perspectives through analyzing the source and extending the discussion with an accompanying picture book can give students an opportunity to construct their own understanding using these rich resources. 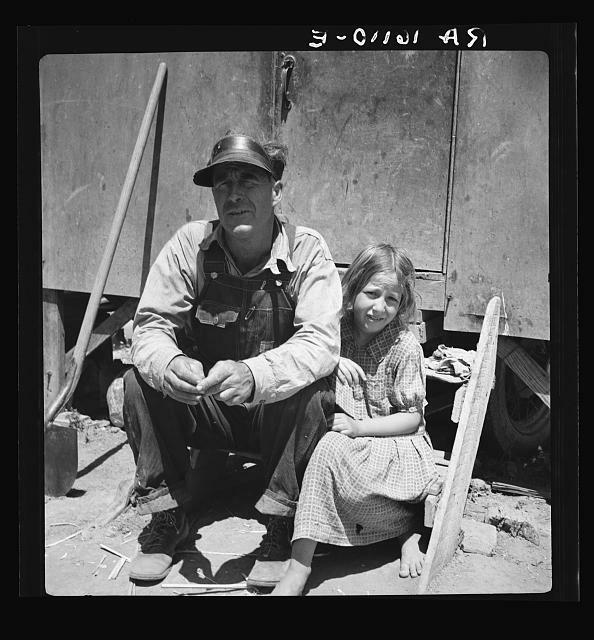 The Library of Congress holds thousands of photographs by Dorothea Lange. Discover and explore digitized photographs by searching for Lange’s name in the Farm Security Administration/Office of War Information Black-and-White Negatives. 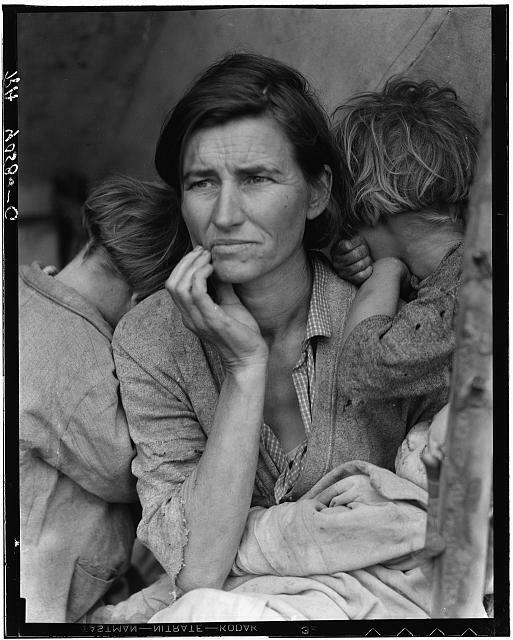 Have students compare Lange’s Migrant Mother with the illustrations in Weatherford’s book. There is someone missing from the illustrations. It makes interesting discussions as to the choice the illustrator made to recreate this famous image and the original. What a great idea! What grade would you recommend this for? I’m a preK-5 librarian and will add this to my repertoire of lessons. 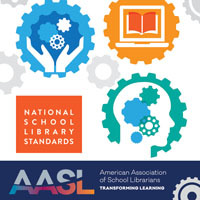 Classroom teachers have decreased flexibility these days and I can’t always dovetail with their units to introduce concepts like “primary and secondary sources;” units in library class can fill the need. 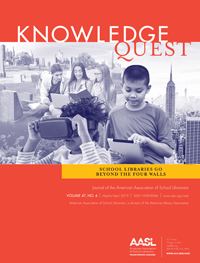 Jen, depending on the students’ familiarity with interacting with primary sources and the time you have, this could work well with your upper elementary students as well as older students.